Known to be the pride of Kedah, Pekan Rabu literally means ‘Wednesday Market’, but direct meanings aside, as this market is open not just on Wednesdays, but as well as every other day. Though, in the past history, it was known that this market only opened on Wednesdays itself, but thankfully not anymore. 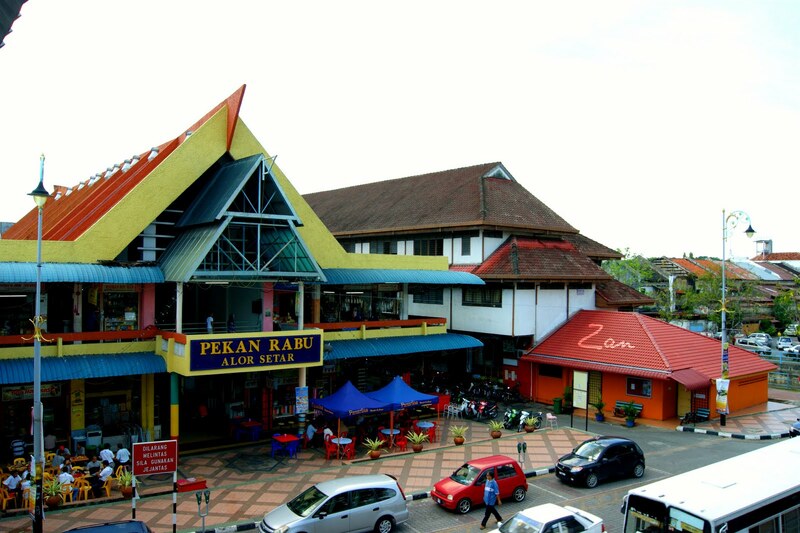 Pekan Rabu, placed in the middle of Alor Setar, a state of Kedah, is a popular go-to place among locals and foreigners. What used to be simply an attap-roofed shack, this market has expanded into a multi-storey building and has been operating ever since the times of post-World War I. This shopping mall is also famous, as Malaysia’s fourth prime minister, none other than Tun Dr. Mahathir bin Mohamad was once a trader here. Built in the late 1990’s and also having it being renovated, today, the bazaar houses at least 300 stalls up to date that sells a variety of things that is bound to capture the interest of visitors! With hundreds of stalls, tourists that arrive at Kedah make it to a point to stopover this place, as it is not an attraction to be missed. Plus, to some, it is a shopping paradise! As this market opens from as early as 9 am to the evening of 6 pm, it allows shoppers to spend the full day browsing through the goods of all kinds without rushing. In addition to that, with its long stretch of hours of operation, it adds to the ease of visitors seeing that there is no limited time! Visitors of this market may come across items that they would have never thought of, from antiques to various traditional delicacies which may be unfamiliar to them. The stalls of Pekan Rabu has a variety of things, for example, dry goods such as biscuits, preserved food, handicrafts, reading materials, toys, cosmetics and apparel! Foreigners from other parts of the globe should try out the traditional delicacies, especially the dodol durian, as the stimulating smell and sweet taste would perhaps change their minds about Malaysia’s King of Fruits, the durian. Other traditional Malay foods comprise of the kuah rojak and garam belacan! As for visitors wanting to get to this market, or depart from so, not to worry as it is close to a taxi stand as well as the bus terminal. In fact, even more convenient, there are hotels available nearby which is walking distance to this market. In a nutshell, this market is definitely worth spending the day going from stall to stall, as there are well-crafted items that are to be appreciated, like the beautiful hand-woven mengkuang mats!